Description. 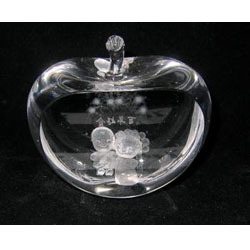 : Cutted Apple Crystal with custom 3d inner laser engraving inside, personalized design can be etched inside the crystal apple. Description. 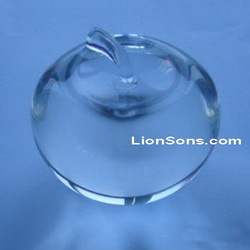 : Blank Crystal Apple, custom design can be engraved inside with 3d inner laser engraving, also personalized text or image can be etched inside. Description. 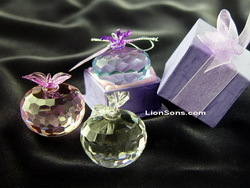 : faced crystal apples, many colors are available (like transparent, pink, blue, purple, etc). If you need engrave custom artwork, we can offer a custom engraved crystal base at the bottom of the crystal apple.